Helping you decide on the right systems for you multichannel business. "Travel Oregon hired F. Curtis Barry & Company to assist in the search, selection, and contract negotiation of a third party fulfillment vendor. Today there are a variety of vendors in the market place who offer a broad spectrum of services and having F. Curtis Barry & Company there to provide sound analysis and recommendations based on their experience assured we had the information needed to make the right decisions for our business." Order Management Systems integrate functions of e-commerce, call center and customer service; fulfillment; inventory management; merchandising and marketing; for direct and wholesale catalog and ecommerce businesses. We help you understand the functionality OMS have; whether OMS or Enterprise Wide (ERP)s is a better; and if you have wholesale, retail or other channels, what gaps there are. Our team of experts will assist you in determining your direct to customer business requirements; whether ERP or OMS is a better functional fit; writing and analyzing Request For Proposals; selecting vendors and software; cloud (SaaS) or on premise decisions; project management and planning for implementation. While ERPs legacy are manufacturing, material resource planning and accounting, ERP functions have been extended to benefit multichannel companies with a broad range of functions: e-commerce platform and integrations, call center, fulfillment, payroll and human resources and finance and accounting systems. 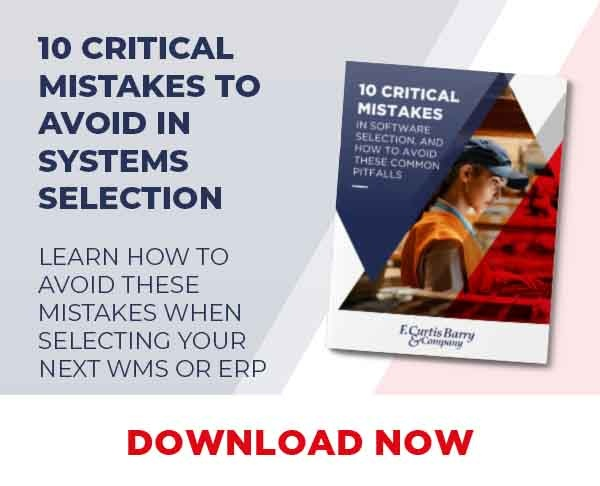 ERPs are often a better alternative to OMS when companies’ multichannel requirements include wholesale, retail and selling to “Big Box” retailers in addition to direct to customer. Our team of experts will assist you in determining your direct to customer and wholesale business requirements; whether ERP or OMS is a better functional fit; writing and analyzing Request For Proposals; selecting vendors and software; cloud (SaaS) or on premise decisions; project management and planning for implementation. Many companies don’t need to replace their ERP or OMS systems, however, their warehousing and distribution has changed requiring significantly more functionality. Warehouse Management Systems are an option for many direct, wholesale and multichannel companies, both large and small. These functions can include better management of the inbound supply chain; inventory and order/return tracking through the processes; wide variety of picking options; slotting; application of bar code; voice enabled applications and integrations to automation and conveyors; labor productivity and management; and improved outbound shipping. F. Curtis Barry & Company will assist you in determining your direct to customer and wholesale business WMS requirements; writing and analyzing Request For Proposals; selecting vendors and software; cloud (SaaS) or on premise decisions; project management and planning for implementation. Optimizing inventory availability by channel and being in stock when the customer orders are keys to profitable multichannel marketing. The processes for direct, retail, wholesale channels are extremely different. Our team of experts helps you to assess your inventory planning and forecasting functions you need to increase sales and reduce overstocks. Our experienced team will assist you determine your direct to customer and retail business requirements; write and analyze Request For Proposals; select vendors and software; cloud (SaaS) or on premise decisions; and project management and planning for implementation.